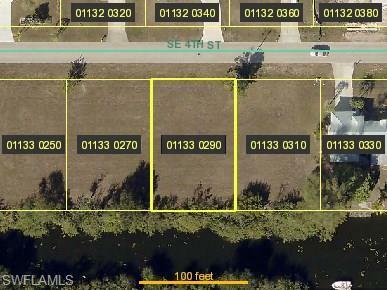 CULTURAL PARK AREA/Lovely SOUTHERN EXPOSURE FRESHWATER BUILDING LOT...SUPER CONVENIENT to all points Cape Coral, centrally located. City Hall, Police Dept., Hospital and shopping all close by. Drive by and take a look.